There is no other wine like Champagne; it truly is charm, glamour, and sophistication in a bottle. Champagne lifts the spirits, lends a celebratory air, and pampers the soul. “Come quickly! I’m tasting stars!”, Dom Pierre Pérignon, the 17th century French Benedictine Monk who was cellar master at the Hautvillers Abbey is said to have exclaimed. 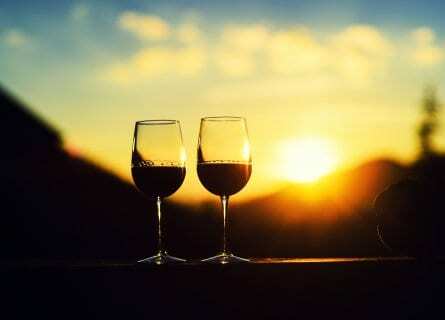 Although this quote is steeped in legend, it is quite succinct; champagne does have a magical, ethereal quality and experiencing it in its birthplace is a once in a lifetime vacation experience for wine lovers. We have designed a fabulous Mercedes chauffeured tour of Champagne for private guests taking in main hubs like Reims and Épernay along with medieval gems like Troyes and indeed Hautvillers, coined the birthplace of Champagne. Visit mythical luxury champagne houses on VIP exclusive tours with educational and entertaining explanations of champagne production and classifications, and contrast with intimate visits to charming small growers with convivial tastings. Enjoy some out of this world gourmet cuisine at Michelin star superstars in the region like Arnaud Lallement’s L’Assiette Champenoise and the extravagant Le Parc Les Crayères. Stay in characterful, luxurious country house style hotels. Above all, relax as everything will be taken care of for you and you will have your own private driver and comfortable town car to travel and imbibe in style. Upon your arrival at Reims train station this morning, our driver will collect you and take you to your first appointment of the day, a wonderful private tour and tasting at the friendly Taittinger estate. On a private tour of their Roman chalk caves and maison, be entertained while learning about the art of champagne making and finish with a tasting of various champagne styles. Then carry on to the prestigious Veuve Clicquot house. Founded in 1772 by Philipe Clicquot who came from a banking family, he decided to use the family vineyards to create a wine business with big ambitions. It was his son’s widow Madame Clicquot who is the most notable figure in Clicquot’s history though. Widowed young at 27 back in 1805, her role as head of a company was unprecedented in that époque for a woman and she is credited with veritably creating a wine empire for the brand and for such important inventions still used today like the riddling table. You will learn all about the history while touring their chalk cellars and conclude with a pre-lunch aperitif of the Grande Dame champagne! Enjoy a casual a la carte lunch at Brasserie Flo, one of our favorite informal eateries in the region with its high ceilings, Belle Époque paintings, mirrored walls, and Moroccan palms. Run by local chef David Mathieu, they are especially noted for their fish and seafood and you might like to try their magnificent shellfish platter. Continue with delicious dishes like roast duck with scallops or free-range capon supreme. After lunch, take in a digestive walk around historic Reims including a visit to the outstanding 12th-century Gothic Cathedral where Charles VII was famously coronated under Joan of Arc. Before heading to your plush hotel this evening, you will tour one last house, the beautiful Pommery property. 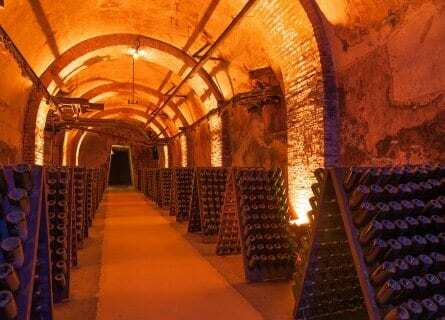 Their caves are some of the most extensive and fascinating in Champagne to visit and you will enjoy a private tour with a tasting of three styles. Freshen up and relax at the hotel for a few hours before dinner, which will be a gastronomic feast at their Two Michelin starred gourmet restaurant. The bar here serves Krug by the glass if you feel like a decadent nightcap. 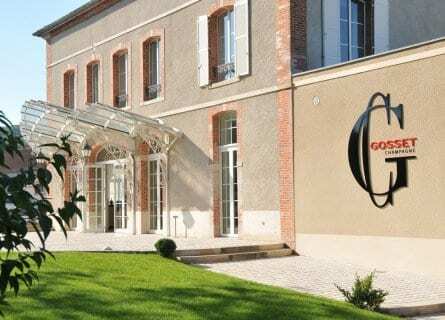 A later start today; sleep in, enjoy a leisurely breakfast and in the late morning your driver will collect you and take you to pretty Maison Gosset, a relaxed half hour’s drive. This chic wine house is also the oldest wine producer in Champagne, dating back to 1574, and is located just east of Épernay in Aÿ. You will visit the property on a private tour and taste their best champagnes including the Grande Réserve, their Grand Millésime, Grand Rosé, and Grand Blanc de Blancs. Before enjoying lunch in medieval Hautvillers, pop into the super friendly Champagne Tribaut, a family owned champagne grower who sells grapes on to some of the most famous big houses including Taittinger. Relax over an informal tasting of faves like their Champagne de Rosé Réserve, Cuvée de Réserve, and Grande Cuvée Spéciale, accompanied by some homemade snacks while admiring the vineyards and the Montagne de Reims. Lunch is next at L’Abbaye in Hautvillers, named of course after the nearby abbey where Dom Pérignon perfected the champagne method (his tomb lies here in the abbey as well and is a bit of a wine lover’s pilgrimage). This landmark restaurant serves delicious local fare and you can order a la carte trying specialties like their ham hock terrine, creamy scallops served Champagne style with morels and asparagus, and hearty casserole dishes. After lunch, stretch your legs and enjoy a walk around picturesque Hautvillers. This darling hamlet is set right in the Montagne de Reims nature reserve and you are surrounded by an expanse of vines. The winding, narrow streets are lined with colorful timber façades and beautiful iron shop signs. Before heading back to the hotel this afternoon, we suggest a visit to Au 36 on the famous rue Dom Pérignon, a trendy wine bar, and shop, well worth a visit. If the weather is pleasant, sit on the terrace, enjoy “une coupe” and count your blessings. Dinner tonight is at the beautiful Two Michelin starred Le Parc Les Crayères in Reims. The whimsical menu was created by Philippe Mille and the setting is supremely elegant so tonight you can get dressed up. Enjoy the chef’s taster with wine pairings and your driver will take you back to your country house after a fabulous meal; this is the gourmet highlight of the trip. Today you switch gears and will be mostly sightseeing and enjoying the countryside and quaint villages, but first, one last wine experience- at the iconic Moet & Chandon house founded in 1743, where on a private tour you will taste Dom Pérignon. Their wine cellars are some of the longest in Champagne (stretching over 17 miles!) 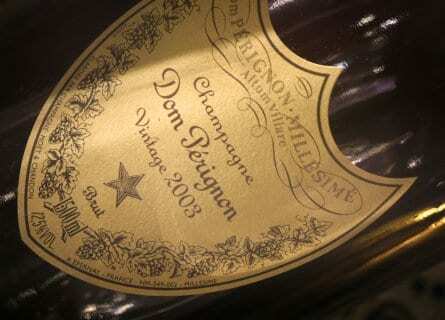 and their champagne is one of the most popular on the planet. Of their over 2800 acres of nutrient-rich chalk soil vineyards, over half produce grand crus and a quarter premiers crus. The visit here is corporate and slick but no less fascinating for this and you really can’t leave Champagne without having a tour here, as the cellars are extraordinary. Enjoy the Dom and bid adieu to the glamorous avenue de Champagne, admiring other big names like Winston Churchill’s adored Pol Roger and fashion favorite Perrier-Jouët. Medieval Troyes is next, just over an hour’s journey through a patchwork of Chardonnay, Pinot Noir and Pinot Meunier planted vineyards. Arrived in beautiful Troyes, whose romantic, historic center is actually shaped like a champagne cork! Fairy Tale Troyes has a wonderful heritage of stained glass and you will find sublime Gothic churches here, 16th-century courtyards, a maze of cobblestone alleyways and a small but important art museum. The town is also known for their andouillette sausages. The afternoon is yours to explore on your own, enjoying the fabulous shops, gardens, and architectural patrimony. Tonight you sleep in a boutique, five star converted convent in the heart of the old town that once pertained to the Knights of Malta. Your hotel has a dreamy little pool where you can take a dip before dinner. Dinner tonight is laid back and charming at the enchanting Le Valentino, set in a medieval courtyard. Enjoy breakfast in a beautiful courtyard today, weather permitting, and then at your preferred time your driver will collect you and take you to your next port of call. We hope you had a marvelous time on this luxury wine tour of Champagne! As Charles Dickens famously quoted- “Champagne is one of the elegant extras in life.” Why not add some elegance to your next vacation?